In partnership with the Department of Linguistics, the CTL will host Dr. Raffaella Zanuttini, Dr. Jim Wood, and Dr. Jason Zentz for a seminar focused on Linguistic Prejudice: Revealing our Implicit Biases about Language. Lunch will be provided. 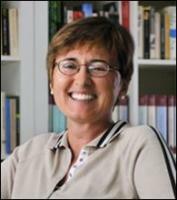 Dr. Raffaella Zanuttini is a Professor of Linguistics and Director of Undergraduate Studies at Yale. Dr. Jim Wood is an Assistant Professor of Linguistics. His research focuses on Icelandic languages. 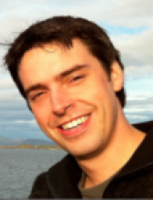 Dr. Jason Zentz is an Academic and Faculty Affairs Associate and Postdoctoral Associate in Linguistics. Session Description: Linguistic prejudice has been called the last socially acceptable form of prejudice. Perhaps it remains acceptable because much of it is implicit; in general, individuals find it challenging to realize that attitudes about language stem from existing social biases. During this session, we will invite participants to consider how linguistic prejudice can have serious negative ramifications, including increasing disparities in education, employment, housing, and the criminal justice system. An awareness of implicit biases around language can help attendees counteract any negative effects of interacting with people who speak different varieties of English on or off campus. Note: To take advantage of the multimedia PDF, please download the file and open it in Adobe Acrobat or Adobe Reader and enable Flash.